The Venezuelan Income Tax Law sets forth transfer pricing rules that require Venezuelan taxpayers to report related-party transactions on arm's-length terms for income tax purposes. The Venezuelan transfer pricing rules are based on the OECD Transfer Pricing Guidelines for Multinational Enterprises and Tax Administrations (the OECD Guidelines), which are applicable on a supplementary basis provided that they are congruent with the Venezuelan Income Tax Law and international treaties signed by Venezuela. The OECD Guidelines are commonly applied in Venezuela and certain tax courts have used them as a source for interpreting the Venezuelan transfer pricing rules. Venezuelan transfer pricing rules apply to transactions between Venezuelan taxpayers and related parties, and they cover both income and capital transactions. Following the OECD Model Tax Convention, the Venezuelan transfer pricing rules define related parties as any enterprise that participates directly or indirectly in the management, control or capital of another enterprise, or when the same persons participate directly or indirectly in the management, control or capital of both enterprises. In addition, companies incorporated in low-tax jurisdictions for Venezuelan tax purposes conducting transactions with Venezuelan taxpayers are presumed to be related parties. The Venezuelan tax authorities may adjust the profits reported by Venezuelan taxpayers by imputing income or reducing or denying deductions if transactions have been entered into between related parties on non-arm's-length terms. Transfer pricing adjustments only generate income tax consequences and do not have any other legal implications. The accounting treatment given by a Venezuelan taxpayer to a related-party transaction does not affect the technical position taken by such taxpayer for Venezuelan income tax purposes or its risk of challenge if such transaction has been reported on arm's-length terms for income tax purposes. However, the accounting treatment of a transaction can be used as an indication of the applicable tax treatment. Venezuelan taxpayers must report transactions with related parties to the tax authorities through an information transfer pricing return, which must be filed annually within six months after the end of the fiscal year. the transfer pricing method used to calculate the prices. specific information as to whether foreign related parties are or were subject to a transfer pricing audit, or if they are involved in transfer pricing competent authority or other procedures. the transactional net margin method. Venezuelan taxpayers must first consider the CUP method. If the Venezuelan taxpayers do not use the CUP method, they must select the method that is considered more appropriate to the characteristics of the transaction and the economic activity carried out. Venezuelan taxpayers must justify the selection of the method used, typically in the transfer pricing documentation that is kept in case of an audit. The analysis for selecting the appropriate method is usually done following the OECD Transfer Pricing Guidelines. Therefore, the cost-plus method is generally acceptable in transactions involving the sale of semi-finished goods between related parties, joint facility agreements or long-term buy-and-supply arrangements, or the provision of services. The profit split method, although it is rarely selected, it may be deemed appropriate if the Venezuelan taxpayer can prove that the transactions are very interrelated and that they cannot be evaluated on a separate basis. In certain audits, the tax authorities have challenged the use of a pricing method other than the CUP method. In Veneasistencia, CA v. República de Venezuela (Venezuelan Supreme Court, 27 November 2012) the Venezuelan Supreme Court ruled that Venezuelan taxpayers have the right to use transfer pricing methods other than the CUP method if they reasonably justify the use of other methods. The tax authorities had imposed a penalty on the taxpayer for not using the CUP method. The taxpayer claimed that the penalty was not applicable since the CUP method was not appropriate for its related-party transactions and provided evidence consisting of its transfer pricing documentation, which reasonably supported the use of the transactional net margin method. The analysis of the taxpayer's transfer pricing documentation was sufficient evidence for the Venezuelan Supreme Court to revoke the penalty. Under the Venezuelan Tax Code, the tax authorities have broad investigative powers for conducting tax audits. Venezuelan taxpayers are required to submit all the available documents and information requested by the tax authorities, but they are not required to submit documentation or produce witnesses outside the jurisdiction. In general, Venezuelan taxpayers subject to transfer pricing audits are subject to close scrutiny of their related-party transactions, but such scrutiny is not focused on assessing their global tax position and then assessing profit share per jurisdiction. However, sometimes the tax authorities ask whether any of the affiliated companies has been subject to transfer pricing audits or assessments in other jurisdictions. The tax authorities typically begin a transfer pricing audit by requesting the taxpayer to submit an extensive list of documents and information, which always includes the transfer pricing documentation to be kept pursuant to the Venezuelan Income Tax Law. The tax authorities do not usually talk to witnesses within the taxpayer group, but instead send written questionnaires that may contain questions directed to certain employees. In recent years, most transfer pricing audits have resulted in adjustments to the taxpayer's taxable profits and most of such adjustments have been subject to administrative or judicial review pending final resolution. Venezuela has not adopted country-by-country reporting rules. Venezuelan taxpayers typically use the transactional net margin method for establishing the pricing of intangible assets. Even though the CUP method must be considered first under the Venezuelan transfer pricing rules, and the profit split method is likely to be the most appropriate method for establishing the pricing of intangible assets, in practice it is difficult for Venezuelan taxpayers to find reliable information to apply such methods for pricing intangible assets. When establishing the price for intangible assets, Venezuelan transfer pricing rules provide that certain characteristics of the transactions involved must be taken into account, including whether it is the licensing or the sale of intangible assets, the duration of the contracts, the degree of protection and the expected benefits for the use of property rights. The Venezuelan transfer pricing rules do not expressly provide that it is necessary to prove where the substance developing, supporting or exploiting the intangible asset is based in order to justify a higher than passive return; however, and not exempt from discussion, the tax authorities could try to raise those issues during an audit based on the OECD Guidelines. The development, enhancement, maintenance, protection and exploitation (DEMPE) functions relating to intangible assets are not applied in practice yet. In this regard, Venezuelan authorities have not published their intention to implement standards provided by the BEPS Action Plan on transfer pricing matters. The tax authorities must conduct an audit to make an adjustment to the profits of a Venezuelan taxpayer based on the transfer pricing rules. If, resulting from an audit, the tax authorities make a transfer pricing adjustment and claim the underpayment of taxes through an assessment, there is no legal possibility of negotiating a settlement at the administrative level other than the option for the taxpayer of totally or partially accepting the adjustment and thus obtaining a reduced penalty, which is calculated on a percentage of the taxes underpaid and following the rules of the Venezuelan Tax Code. If the Venezuelan taxpayer does not accept the adjustment, the taxpayer has the right to subject the adjustment to administrative or judicial review. 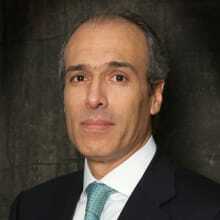 At the request of the Venezuelan taxpayer, a judicial procedure arising from a transfer pricing dispute may be finalised through a settlement. The settlement must be filed before the tax court for its approval. The settlement is mandatory for the parties to the procedure and cannot be appealed. A settlement of such nature cannot be relied on to inform the returning position for future years. The tax court must notify a proposed settlement to the tax authorities. Subsequently, the judicial procedure is suspended while the parties discuss the terms of the settlement. The tax authorities may agree to or reject the settlement, and must ask the non-binding opinion of the Attorney General's Office. If the tax authorities agree on the settlement's terms and conditions, it must draft the settlement agreement and notify the taxpayer. The taxpayer can accept or reject the agreement drafted by the tax authorities. If the taxpayer rejects the settlement draft, the tax court resumes the judicial procedure. In practice, the tax authorities are generally not open to settling transfer pricing disputes. The tax authorities must begin transfer pricing investigations with a formal notification to the taxpayer indicating the scope of the audit, including the taxes and the fiscal years subject to investigation. Under the statute of limitations rules set forth in the Venezuelan Tax Code, the tax authorities have six years after the closing of a fiscal year to audit that fiscal year. The six-year limit applies to the extent that the taxpayer filed the applicable tax returns. If the taxpayer failed to file the applicable tax returns, the period is extended to 10 years. After a transfer pricing audit has commenced, the tax authorities are limited by the general statute of limitations period to close the audit. Typically, the investigation period in a transfer pricing audit before the tax authorities issue an assessment ranges from six months to two years. The assessments must be based on factual findings and Venezuelan law. Once the tax authorities issue an assessment and make a transfer pricing adjustment the taxpayer has 15 business days to decide whether it accepts the assessment. If the taxpayer decides to challenge the assessment, the taxpayer has five months to file a defence brief and submit evidence to rebut the tax authorities' position. directly file a judicial appeal before the tax courts. Venezuelan taxpayers can appeal transfer pricing adjustments before the Venezuelan tax courts, which are the competent first instance courts for tax and customs disputes. The competent court for second instance in tax and customs disputes is the Political-Administrative Chamber of the Venezuelan Supreme Court. Since the judicial tax appeal must be filed within 25 business days after the tax authorities have upheld the assessment, the timeline for preparing for a judicial transfer pricing dispute is short. The judicial process begins with the Venezuelan taxpayer filing a written appeal with all of the legal and technical arguments supporting its position, which generally has been discussed at the administrative level. After the written appeal is filed, the tax court must notify the tax authorities and other relevant authorities such as the Attorney General's Office. After all the relevant parties to the judicial process have been notified, the tax court must decide on the admission of the appeal. The admission of the appeal is followed by the evidence phase, in which the taxpayer and the tax authorities have the right to submit all the relevant evidence to the tax court. The evidence phase has strict timelines set forth in the Venezuelan Tax Code. It is common for Venezuelan taxpayers to bring expert witnesses to appeals relating to transfer pricing matters to support their tax positions. Following the evidence phase, the taxpayer and the tax authorities must submit a conclusions brief, and subsequently they can submit a written rebuttal of the other party's conclusions brief. Finally, the tax court has 60 days to issue its ruling. In practice, however, tax courts take between six months and three years to issue their rulings on tax matters. The rulings issued by tax courts may be appealed before the Political-Administrative Chamber of the Venezuelan Supreme Court, which usually takes from one to three years to issue its final decision on tax matters. The second instance procedure is not a fact-finding forum, but the Venezuelan Supreme Court may overturn or uphold the tax court's ruling based on the evidence present in the judicial file. adjustments to interest expenses or income. The most important transfer pricing disputes are pending a final judicial decision. However, there are some judicial precedents available. Application of the OECD Guidelines is mandatory: the court ruled that the OECD Guidelines were an integral part of the Venezuelan legal system, except for when it contradicts international treaties signed by Venezuela, and the Income Tax Law, which, in turn, has mandatory rules that must be applied and followed on matters not expressly regulated within the Income Tax Law. The principle of annuity for Venezuelan income tax does not apply when comparing related transactions: when comparing transactions between related parties, it is more accurate to use the effective annual interest rate than the nominal interest rate. For this reason, the court ruled that Coca-Cola Femsa correctly considered all the years implicated in the loan agreement with a related party to determine the effective annual interest rate. The OECD Guidelines do not prohibit using comparable enterprises with losses: it was concluded that, after analysing the OECD Guidelines, there is no prohibition against using comparables with financial losses, given that a comparable enterprise can realise genuine losses. their degree of experience in their field. Multi-year data can be applied to obtain a complete understanding of facts and circumstances surrounding a controlled transaction in a volatile environment: this conclusion was based on the OECD Guidelines Paragraph 3.44 and acknowledged that the volatile economic environment in Venezuela – as evidenced by data of the Venezuelan Central Bank – had affected the financial results of Venezuelan companies during the years concerned with the tax assessments; therefore, Coca-Cola Femsa correctly adjusted some data when determining if its prices were at arm's length. Profit margin may be adjusted to median point of arm's-length range if the principles of reasonableness and proportionality are met: the Tax Court established that adjusting the profit margin to the median point of the arm's-length range, as performed by the tax authorities in the assessments made to Coca-Cola Femsa, is not a mandatory adjustment under the Income Tax Law and the OECD Guidelines. However, the Tax Court indicated that, if this adjustment is made, it needs to be sufficiently justified by the tax authorities and meet the principles of reasonableness and proportionality. The decision by the Tax Court to annul the assessments can be appealed by the tax authorities before the Venezuelan Supreme Tribunal of Justice, which is the court of last resort. In Brightstar de Venezuela v. Bolivarian Republic of Venezuela (5th Tax Court of Caracas 23 February 2017) the tax court annulled a transfer pricing adjustment, holding that the tax authorities did not follow the 2010 OECD Guidelines, which required taking into account the segmented financial information of the audited transaction under the transactional net margin method. In Sodexho Pass Venezuela v. República Bolivariana de Venezuela (8th Tax Court of Caracas, 15 December 2016) the claimant (Sodexho Pass Venezuela) appealed an adjustment to its taxable profits made under the Venezuelan transfer pricing rules. The tax authorities claimed that the interest rate charged by Sodexho Pass Venezuela (LIBOR rate) on a loan made to a related party outside Venezuela (a company of the Sodexo Group) was not on arm's-length terms. The tax authorities based their position claiming that when applying the comparable uncontrolled price method and comparing its related-party transaction with an uncontrolled transaction, Sodexho Pass Venezuela should have used an active rate such as the prime rate. In this case, the tax court ruled that Sodexho Pass Venezuela correctly applied the uncontrolled price method when comparing uncontrolled transactions and determining that the LIBOR interest rate charged to its related party (LIBOR) was within arm's-length terms and therefore annulled the transfer pricing adjustment. This case will be decided by the Venezuelan Supreme Court as the tax authorities appealed the ruling. In Chevron v. República de Venezuela (9th Tax Court of Caracas, 30 September 2014) the tax court upheld a transfer pricing adjustment to the profits of the taxpayer (Chevron). The tax authorities claimed that the interest paid by the taxpayer to a related party was not on arm's-length terms. The taxpayer argued that the interest rate paid was on arm's-length terms, and an expert witness was deposed during the process to prove its argument. However, the tax court ruled that the adequate mean of evidence to prove that the interest rate was at arm's length should have been an expert report and not a simple expert witness. Therefore, based on the alleged lack of evidence the tax court upheld the transfer pricing adjustment. The tax authorities are not entitled to impose secondary adjustments. If the tax authorities have conducted a transfer pricing audit and issued an assessment that has either been accepted by the taxpayer, upheld or revoked by the tax authorities or a tax court, the tax authorities are not allowed under the Venezuelan Tax Code to investigate the same tax, transactions and fiscal years that were subject to the assessment. Under the Venezuelan Tax Code, the penalties for underpayment of taxes resulting from transfer pricing adjustments are the same as those applicable to the underpayment of taxes resulting from other types of assessment. The penalty for underpayment varies depending on whether the taxpayer has accepted the assessment at an early stage of the audit procedure. If a taxpayer accepts and pays the assessment within 15 days after the assessment has been issued, the penalty for underpayment is 30 per cent of the amount of the taxes underpaid. If the taxpayer has not accepted the assessment and the tax authorities have upheld the assessment, the penalty for underpayment ranges between 100 per cent and 300 per cent of the amount of the underpayment. Under the general principles set forth in the Venezuelan Criminal Code, penalties that range between two limits are normally applied at its average (resulting from adding the two penalties and dividing them into two), also taking into account the merits of the circumstances. In practice, the tax authorities usually impose the penalty for underpayment at its average of 200 per cent, even when the underpayment is derived from a transfer pricing adjustment. Taxpayers have the right to challenge penalties by filing an administrative or judicial appeal. If the taxpayer challenges a transfer pricing adjustment claiming that there is no underpayment, the penalties are also under the scope of the challenge. A taxpayer can also only challenge the imposition of an underpayment penalty derived from a transfer pricing adjustment, but the available case law shows that tax courts rarely revoke the imposition of an underpayment penalty if the underpayment has been upheld or is not subject to appeal. Pursuant to the Venezuelan Tax Code, a penalty may be eliminated if the taxpayer proves that the infraction (underpayment) was derived from either a fortuitous event, force majeure, or a mistake of fact or law. 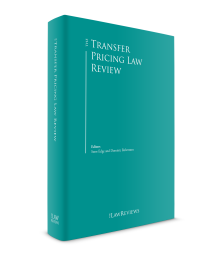 Taking into account the complexity of transfer pricing rules, taxpayers often challenge the imposition of penalties derived from transfer pricing adjustments arguing a mistake of law, but most of such appeals filed are still pending a decision. To supplement transfer pricing rules, in 2007 Venezuela enacted thin capitalisation rules that limit the deduction of interest paid to related parties if a 1:1 debt-to-equity ratio is exceeded. The debt-to-equity ratio and the related-party interest deduction allowed are calculated using the method provided in the Venezuelan Income Tax Law. Additionally, the Venezuelan thin capitalisation rules provide that debts between related parties that are not on arm's-length terms must be recharacterised as equity and, therefore, interests paid on such debts are not deductible for tax purposes. Venezuela has no diverted profits tax. Under the Venezuelan Income Tax Law, taxpayers may credit taxes paid outside Venezuela against their foreign source income. In addition, Venezuela has a wide network of treaties for the avoidance of double taxation: 32 treaties are currently in force. The treaties signed by Venezuela are mainly based on the OECD Model Tax Convention on Income and on Capital, and some of them include clauses based on the UN Model Double Taxation Convention. All of the tax treaties signed by Venezuela contain a mutual agreement procedure (MAP) clause. Eight of the 32 treaties have different MAP clauses from Article 25 of the OECD Model Tax Convention on Income and on Capital (Barbados, Belgium, Brazil, Canada, France, Germany, the Netherlands and the United States). application of the time limits imposed by domestic law to adopt the measures agreed by the MAP. Only the treaty with Canada contains an arbitration clause, although the treaty to avoid double taxation with the Netherlands provides the right to recourse to 'mechanisms established by international law'. Under Venezuelan laws transfer pricing adjustments only have effects for income tax purposes. If the tax authorities have made a transfer pricing adjustment to the taxable profits of a taxpayer, it could be the case that the tax authorities later begin an audit on VAT or import and custom duties matters to determine whether there has been an underpayment of such taxes or duties, but such audits cannot be based on the transfer pricing rules or the transfer pricing adjustment. The transfer pricing area experienced significant activity in Venezuela after the country adapted its transfer pricing rules to the OECD standards in 2001. However, recent changes in domestic tax laws have been focused on raising tax revenue through other measures, and the transfer pricing rules have not been further developed. Currently, the tax authorities have been active in conducting transfer pricing audits and the tax courts have begun to rule on certain transfer pricing disputes, but most cases are still pending resolution. 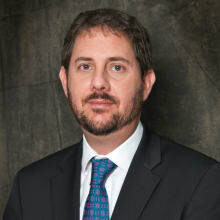 Venezuelan authorities have not published their aim to implement standards provided by the BEPS Action Plan on transfer pricing matters, but it is possible that they will be incorporated in the future under the current transfer pricing rules, which must be revised to adapt them to the new standards for the application of the arm's-length principle. 1 Alberto Benshimol and Humberto Romero-Muci are partners at D'Empaire.